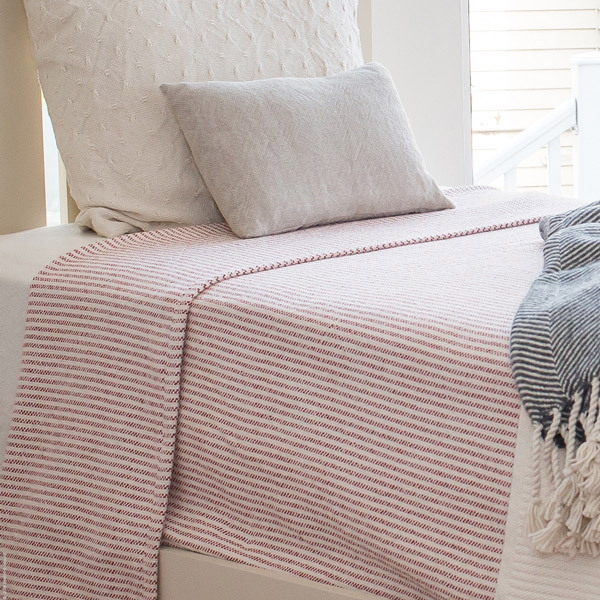 An enduring cotton blanket style as durable as the vintage textiles that inspired it, yet so much softer. 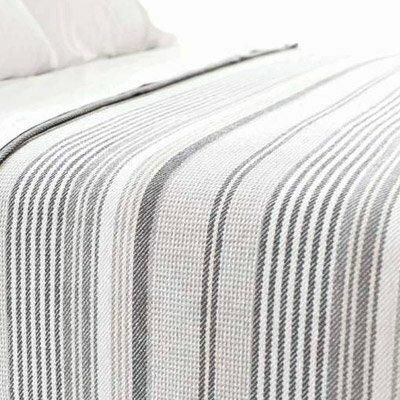 Flat weave features two-yarn striping head to toe. Endlessly versatile — charming in a guest room, retro cool in a dorm room. 100% U.S.A. cotton Many colorways Both white and natural ground colors 4 sizes Double hand-turned hem Made in the U.S.A. Wash separately cold water, gentle cycle. Liquid detergent without bleach or brighteners. Tumble dry delicate, low or no heat.